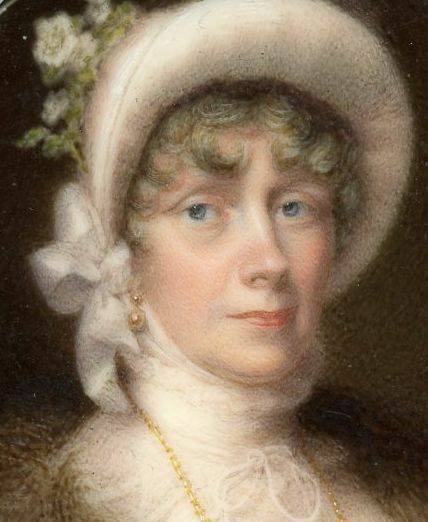 A confident and striking portrait of a richly-attired lady in a black dress, the neck-line trimmed with fine lace and worn with a tall collar fill-in. 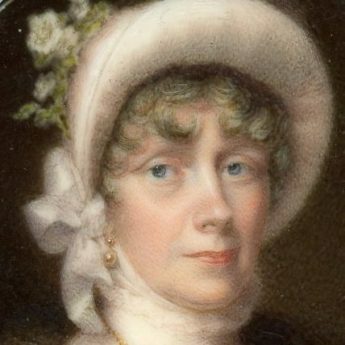 Her chip hat is decorated with flowers and foliage and tied with a white ribbon bow. Her jewellery comprises pearl drop earrings and a gold guard chain with a jewelled brooch on her corsage. To complete her outfit, she had added a beautiful feather boa over her shoulders. 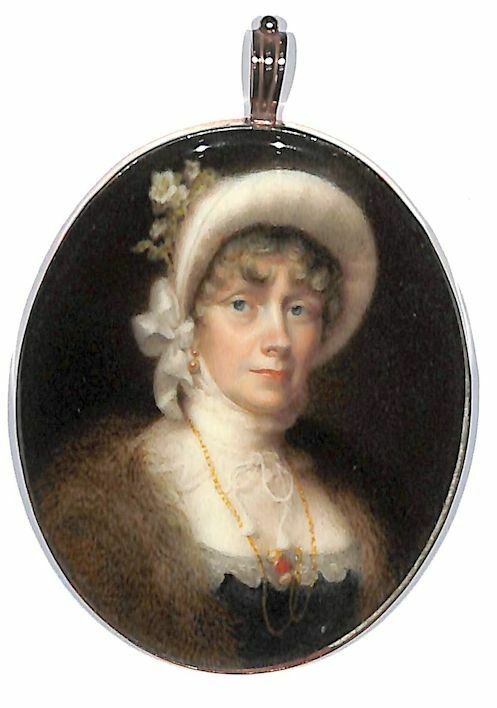 Painted on ivory around 1810, the portrait is set in a gilt-metal frame. John Cox Dillman Engleheart was a nephew and pupil of George Engleheart. He exhibited at the Royal Academy between 1801 and 1828. He was a wealthy man and a popular painter but ill-health obliged him to retire from his profession when just aged forty-four.